We had leftover crab from our fondue fest. 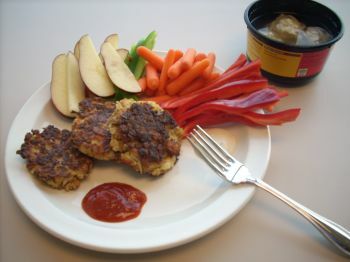 I ended up making Maryland style crab cakes. I had to adjust the recipe to the amount of crab I had left. Mix together eggs, mayo, Old Bay, pepper, worcestershire sauce, and mustard until creamy. 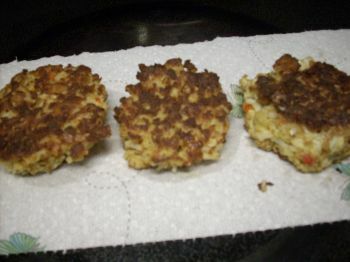 Add bread crumbs, mix evenly. Shape into cakes (I got three). Saute in pan with a hint of vegetable oil and Pam, about 5 minutes each side. 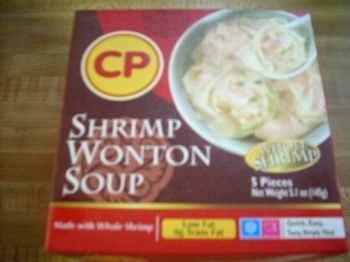 Then I found this product at the store – it was on sale for $2.00 and the whole thing is only 90 calories. It ususally sells for $4.00, which I don’t think it is worth that, but I’ll check the sale papers for it. I added hot sauce to the broth to kick it up a notch. By the time I got down to my office gym, I realized that I forgot my cheat sheet for my circuit training. So I ended up doing 40 minutes walk/run. Three weeks away from the 5K!